Victoria woke one morning at the age of eighteen to discover that her uncle had died and she was now queen. She went on to rule for sixty-three years, with an influence so far-reaching that the decades of her reign now bear her name—the Victorian period. 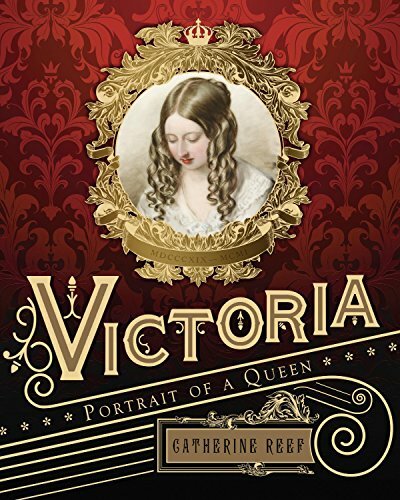 Victoria is filled with the exciting comings and goings of royal life: intrigue and innuendo, scheming advisors, and assassination attempts, not to mention plenty of passion and discord. On January 7 1943, the German Government, in order to free adult soldiers for frontline duty, ordered that all male students of secondary schools born in 1926 and 1927 be drafted into anti-air craft service in the homeland. Students were to arrive in batteries on February 18 1943. After serving from one year (those born in 1926) to thirteen months (those born in 1927), the boys were transferred into the Reich Labor Service and from there into the armed forces. They were replaced by boys born in 1928 who served to the end of the war. About 200,000 boys became Flakhelfer. Most were called up at sixteen, but many, like the author, Karl Heinz Schlesier, were only fifteen. The boys served in batteries of light and heavy flak. Although the government insisted school programs continue for Flakhelfer, the effort was a sham, especially where heavy bombing occurred. Schlesier, a student of Rethel Gymnasium in Düsseldorf, served as Flakhelfer in the regions that suffered the most numerous and heaviest air raids of the war in the Rhineland (Düsseldorf) and the Ruhr (Recklinghausen). His is a coming of age story in a world gone mad, where a teenage boy launched shrapnel into a sky filled with bombers, where Christmas-tree-like flares marked cities about to burn, where working beside Russian POWs, protecting industries with slave labor, courting a girl among bombed-out ruins, and spending leave with family hiding in claustrophobic bomb shelters was unremarkable, as was finally being thrown, unprepared, into a disintegrating frontline only fifty kilometers from his childhood home. The memoir is based solely on Schlesier’s diary notes and memories of that period. He has consciously avoided including what he learned after the war. His views, opinions, and interpretations of events are from inside the Germany of that time. If some are inconvenient today, they mirror the chaos of the world he experienced. Then, to live or not to live was accidental. 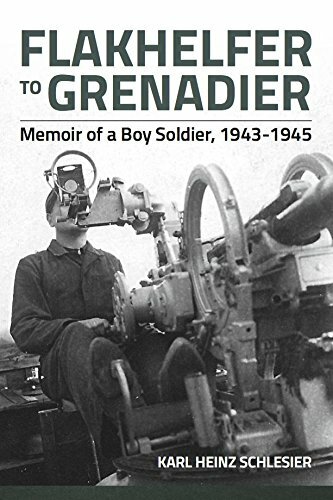 Schlesier wrote this memoir as an old man in response to a granddaughter’s question about what he did in the war. This is his answer. Perhaps, he also gives a voice to the silent generation of boys born in Germany in 1926 and 1927. This generation has been silent because the horror it knew pales in comparison to the horror of the Holocaust.